I've had the fortune to live in the Statuto neighborhood for the last 6 months. In the beginning it was rough, since ambulances pass my corner apartment to reach the nearby hospital on a regular basis. But, with a little patience, surround sound speakers, and curiosity for the foods in my new neighborhood, I've adjusted pretty well. Plus, I have lots of friends in this neighborhood, which has given me a chance to catch up on my social life after a year living out in the winery with Gionni. There are a bunch of edible treasures in this area, which most visitors to Florence miss since they are outside the historic center. 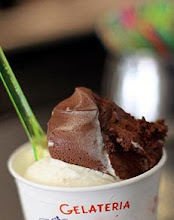 Worth mentioning, the pasticceria Milo the boxer got hooked on, a great gelato place, the Bocconcino where I reported on cecina, among many other places that test my will power on a daily basis. One of my most recent discoveries is Pizzeria Spera. Read all about it! Female is champion! If you speak a little Italian, you know that spera is third person for to hope. I wondered why Pizzeria Spera picked a name with such odd connotations. Upon seeing their menu, any doubts brought on by the name melted away. The pizzeria has a bunch of fun and inventive pizzas. You'll find the usual suspects, like margherita and napoli, but Spera offers lots of great toppings, including truffle oil, porcini mushrooms, ortica, pine nuts, raisins, honey... lots of things most pizza places don't dare offer. So why the name? 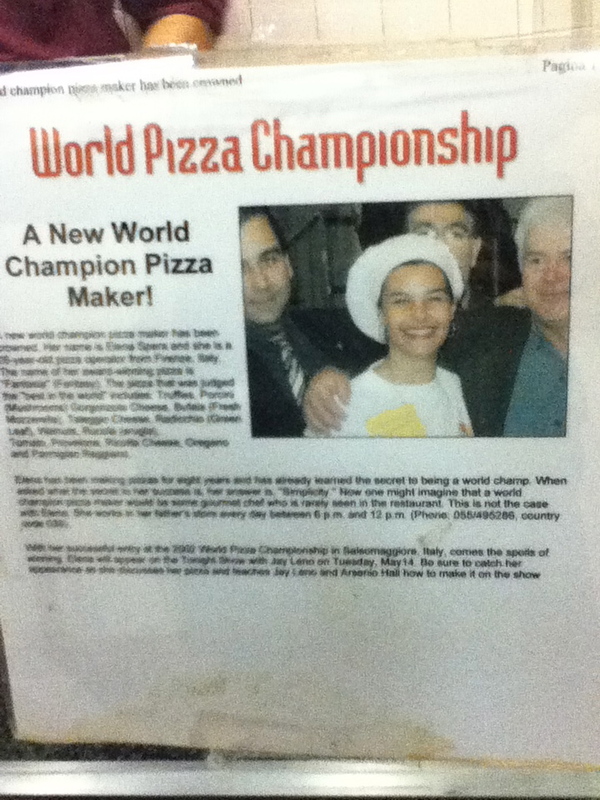 It turns out that Spera is the last name of award-winning pizzaiola Elena Spera. I could tell as I watched Elena at work that my pizza was going to be incredible. The fun part of ordering a pizza to go, da asporto or da portare via, is you get to stand and watch Elena at work from behind a glass wall. If you prefer to eat your pizza right out of the oven, the place has a small dining area downstairs. The main dining area downstairs in Spera. I tried her zucchine and prosciutto pizza with Jill and Ron about 2 weeks ago. This was unfortunately on the same day as my cecina pig-out, so I was far too full to give a fair judgement on Spera's pizza. I decided to return and write about it later. Determined to try the Fantasia and share this new find with Gionni, we returned recently to take out pizzas to bring to our friends' house. We watched in awe as Elena made the trio, especially when we saw her make the Fantasia, which included three pieces of dough meant to divide the three different sections and keep their flavors from running amuck. 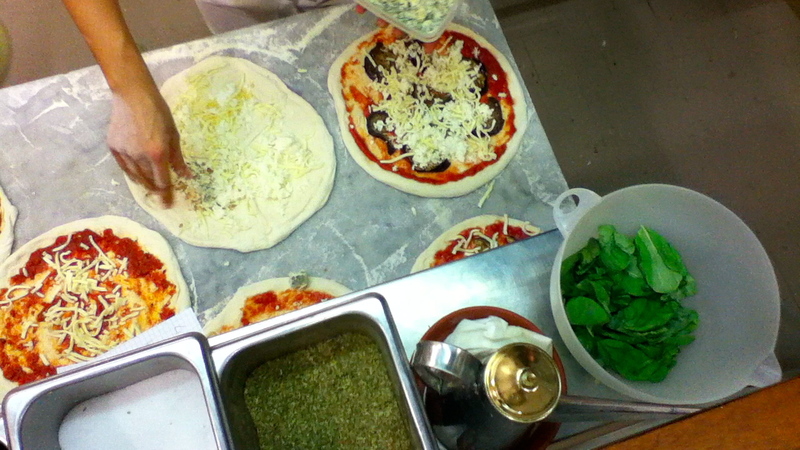 Last night's pizze during their creation. Fantasia Campione del Mondo, which has three sections: 1/3 porcini mushrooms and truffle oil, 1/3 fresh tomato and cheese, 1/3 radicchio and gorgonzola. Calzone Classico (Mozzarella, ham, sauce on top). Though I like the idea of the Fantasia offering a taste of three different types of pizza, and they were all good, I was pleasantly surprised by the Diavolo e Acquasanta, The Devil and Holy Water, with the combo of grassy ortica and sweet honey, salty cheese and a touch of pine nuts, it was a perfect blend of flavors and textures. The Calzone, though also good, didn't stand a chance next to these two masterpieces. To drink, we had two bottles from a Tuscan birrificio artigianale, Olmaia, which is collaborating with the Salcheto winery to make barrel-aged beers, which will be released next year. The one on the left, for some reason called Christmas Duck, has just a bit of honey and gives it a nice soft kick. By the way, Italians generally prefer to drink beer with their pizza. Usually you'll spend as much on beer as on pizza at a pizzeria in Italy (the average pizza costs between 3-9 Euro, while a medium draft beer runs about 3-6 Euro). Another fact you should know: in general Tuscans order 1 pizza per person, since they are usually lighter and thinner in Florence and other parts of Tuscany. 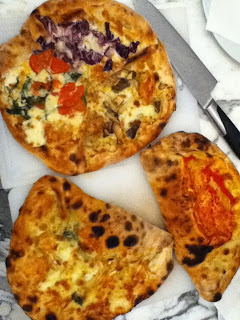 Since Spera's crust is pretty thick (Napolitano style), the three pizzas were enough to fill the four of us up. If you are a thin crust kind of pizza-eater, this is not the right place for you. I like my pizza both ways, thick or thin, as long as the ingredients are tasty. I would love to try these toppings on a thinner crust, though, since I think they are being slightly upstaged by the abondance of crust (but remember, I've been living in Tuscany for a while, and my preferences have inevitably been influenced by my surrounding pizza eating peers). Pizzeria Spera has air conditioning, a huge plus during the summer. They are closed on Mondays, like many pizzerie.